Here is an unusually well-researched NYT article on the efforts to control citrus greening. The obvious solution is to apply modern plant genetics to develop a commercial orange that is resistant to the bacterium. Southern Gardens Citrus has been funding five labs that are making excellent progress on GM solutions. But the delays in the tortuous regulatory jungle may have less financial impact on growers than the unfounded fears that have been spread by anti-GMO activists. 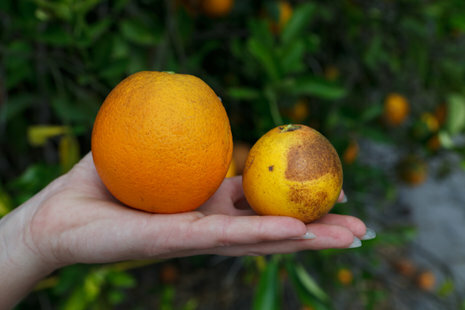 Could the Greenpeace campaign against modern agriculture end up destroying the Florida orange industry? The call Ricke Kress and every other citrus grower in Florida dreaded came while he was driving.